Palermo is the capital city of Sicily, an Italian island. This city is mostly known for its grand medieval architecture, and its wealth of history and heritage. Some of the important landmarks in Sicily are the Palermo Cathedral, the Teatro Massimo, and Palazzo dei Normanni. These are three of the most important architectural structures in Palermo, having been established as far back as the 9th and 12th centuries. 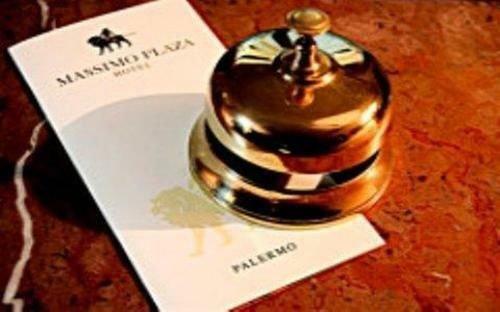 When visiting Palermo, you should stay in one of the following grand luxury hotels. The Grand Hotel Villa Igiea Palermo MGallery by Sofitel is a five star luxury hotel full of all the amenities and features you could possibly ask for in a luxury hotel such as this. It has been designed in an Art Deco style, and as such it looks regal and retro. It features an outdoor pool area where you can comfortably while away the time soaking up the sun. 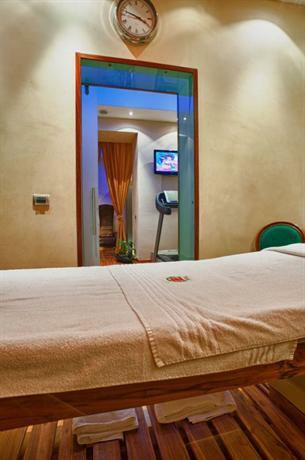 In addition to that you also have a fitness center if you don’t want to let your travels interrupt your fitness regime. If you enjoy sports, you can make use of the outdoor tennis court, which is a great way to interact with other guests as well and form connections. If you’re done exploring the city and you’d just like to eat in the hotel, you have 3 fine dining restaurants to choose from, each one distinctive, unique, and spectacular in its own rights. If you’d like to get a coffee, you can go to the hotel’s in-house cafe. The hotel comes with an interior bar, and a poolside bar as well. As such, the hotel forms a little microcosm in itself and has everything you could possibly need. If you’re a business traveler or a digital nomad, you don’t need to worry about being disconnected either because the hotel provides complimentary high speed WiFi in all the public spaces, and they have facilities such as a business center, limo service, and 600 square meters conference halls. As such, this hotel is great for relaxation and for work. Grand Hotel Wagner is a fabulous five star luxury hotel, and it’s one of the best hotels in all of Palermo. One of the great things about this hotel is that it comes with a lot of history. For example, the name ‘Wagner’ comes from its most famous guest — iconic german composer Richard Wagner. The hotel has been designed in a grand mid-century style with shiny polished beige tinted floors at the entrance hall, and baroque furniture gilded with intricate designs and expert craftsmanship. The favored color palette of the hotel is dark wood, golden, and beige. As such, the hotel feels truly regal. The stairways feature beige-tinted stained glass windows, and the entire hotel features beautiful red carpeted floors. The high ceilings also feature intricate chandeliers. The lobby features an antique fireplace and all the hallways and public areas of the hotel feature walls lined with beautiful oil paintings. If you’d like to relax at a bar, you can head on over to American Bar, which is popular for its line of cocktails and pleasant music always playing in the background. As for the rooms, you can either get the classic, superior, deluxe or the suite. The latter of these features a bathroom with a whirlpool tub, but that luxury also comes with the hefty price tag of €330 a night. Additional amenities include a sauna, spa, gym, and meeting rooms. However, the hotel is a smoke-free zone, so take note of that. This luxury hotel is walking distance from the harbour and just 4km from the railway station. This is the ideal location for travelers as it’s close to all the prime attractions of Palermo such as the Politeama and Massimo theatre. The hotel is also quite close to the primary shopping districts of the city. As far as the aesthetic is concerned, the hotel has been designed in a modern style, with a very spacious and elegant lobby. The lobby features several plush sofas that one can recline against, and it also features the American Bar right next to the lobby. As such, the hotel offers plenty of opportunities to interact with the other guests of the hotel as well, either in the lobby, or while drinking some cocktails in the bar. There are 326 rooms in the hotel and all of them are designed in a contemporary style with white walls and grey furniture. They feature large windows from which you can look out at the city, and the windows also keep the rooms well illumined with plenty of natural light. There are four different in-house restaurants in the hotel in case you want a little variety to your meals. If you need to work, the hotel also has a business center and a computer station. The rooftop terrace is also quite lovely with sundeck chairs and a jacuzzi. 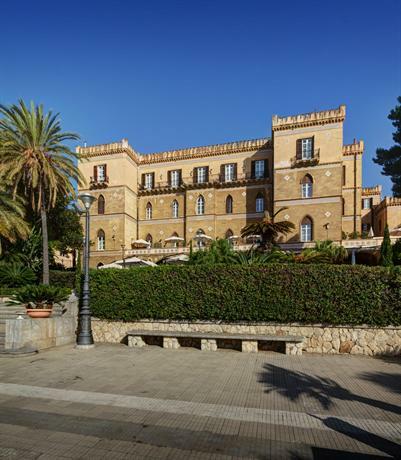 This is a luxury four star hotel located in the historic center of the city of Palermo, and as such it’s sure to be of interest to travelers who love a bit of history and culture. Some of the monuments and attractions in close vicinity are Piazza Marina, Giardino Garibaldi, and Martorana Church. All of these places can be reached by foot. The hotel was established some time in the 1800s, and as such you can definitely see some of the remnants of that period, however it has been renovated so as to also be modern in aesthetic. The lobby features white marble floors with grand stairways made of black marble, and the general color palette of the lobby is a bit of burgundy red with walnut brown, and as such the hotel feels extremely classy. The entire hotel, as a result, gives off a warm feeling, while also being extremely bright. The hotel is also replete with a business station for those who need to work as they travel. There are 86 rooms and suites in the hotel, and as such it definitely does feel more like a boutique hotel, more intimate. You can choose one of four categories of rooms — comfort, superior, deluxe and suite. The rooms all feature hardwood floors, and they have all been designed with sound proofing to ensure that your sleep isn’t disturbed. 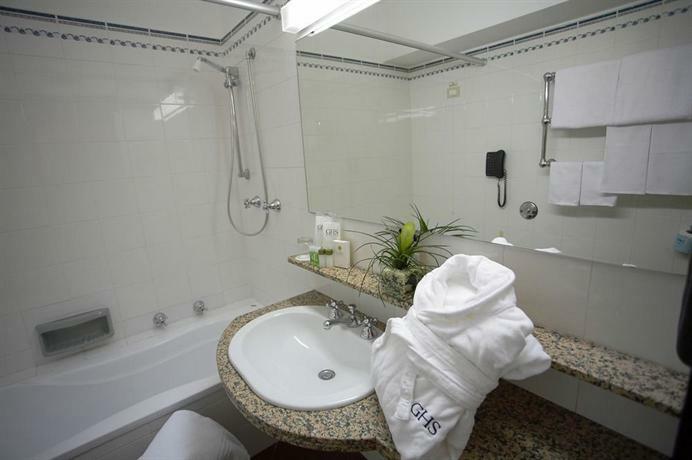 The bathrooms also feature walk-in-showers with deep bathtubs, while some of them even feature hair dryers. You should also take note that this is a non-smoking property. The Grand Hotel et Des Palmes is a five star luxury hotel that positively vibrates with historicity and the weight of the past. It was established way back in 1874, and subsequently renovated in 1907. The entire hotel features marble floors, and they have authentic period antiques carefully positioned around the public areas, and as such a person with historical interest would find the interiors of the hotel to be quite gripping. Even though the hotel takes care to maintain its historical charm, it also comes equipped with all modern amenities and conveniences, such as a high speed wireless network available throughout the hotel. 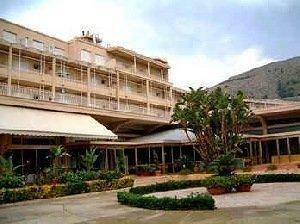 The hotel’s bar, restaurant, and the banquet halls are used to host a great number of events and celebrations. The rooms are all large and spacious. The walls of the room are beige, with chestnut brown carpeting on the floors. The bedsteads and headboards are a rich polished brown shade, and as such the entire room feels cosy and warm. If you pull back the curtains, you can also let in plenty of natural light. If you like rooms with personality, rather than the minimalist fare you usually find everywhere, then this is the hotel for you. The rooms come in five different types — classic room, superior room, deluxe room, junior suite, and senior suite. The latter of these even comes equipped with a private balcony from which you can look at the whole city. 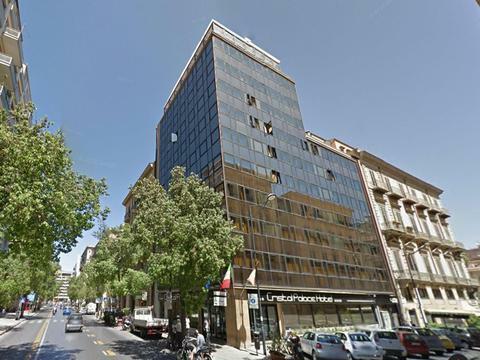 This luxury hotel is located in Viale della Libertà which is neither a romantic spot nor a particularly picturesque one, however it’s centrally located and in the neighborhood you can find several boutique stores and cafes. The neighborhood also features a lot of attractive Art Nouveau buildings. A short stroll can also bring you to Borgo Vecchio, a location where you can buy fish and have it cooked in the open air over a brazier. The hotel’s interiors feature a lot of marble with pink and green tinted chandeliers. The walls and curtains are also brocaded in golden silk, and as such the hotel exudes luxury. This three star boutique hotel is located between Opéra Garnier and the Montmartre streets. The building has been designed in a typical Haussmann-era style, it’s modern, chic, and comfortable. If you select carefully, some of the rooms can give you a stunning view of the neighboring Parisian rooftops. Some of the prime attractions available in close vicinity are Place de l'Opéra and Sacré Cœur. 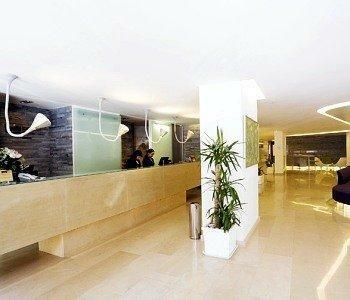 Their lobby is also designed in a warm and pleasant manner with a staff that is always at hand to serve your needs. 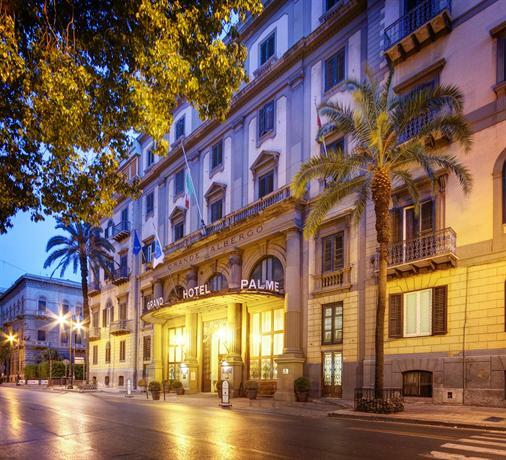 This is a classic and grand four star hotel located in one of the most central areas in Palermo, and it’s right opposite to the popular Politeama Theater. From the roof terrace, you get a stunning sweeping view of the Piazza Politeama, and the neighborhood is full of life, art, and culture, with several pretty boutique stores and charming roadside cafes available. There are 94 rooms in the hotel, all of them are designed with plenty of natural light seeping in, and in a generally warm color palette with the judicious use of yellow, ochre, and red. 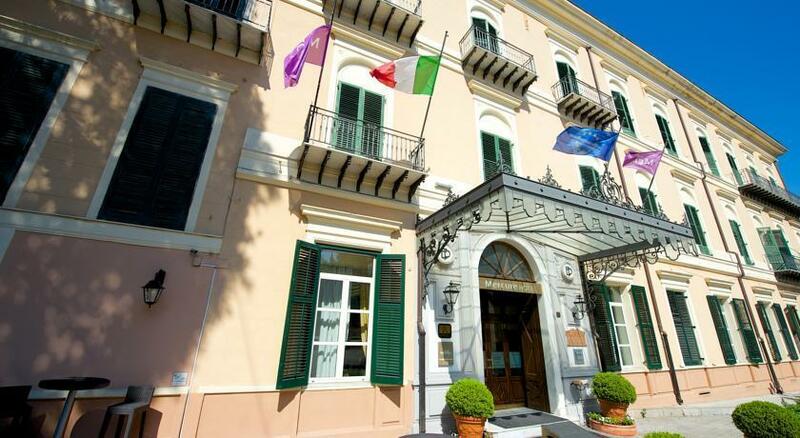 This is the perfect luxury hotel for you if you’d like to be located smack right in the middle of Palermo, within walking distance of Teatro Politeama and the Teatro Massimo, without giving up on your comfort and stylish living. The city of Palermo is known for its characteristic vibrance, and as such this hotel imbibes that spirit completely in its aesthetic design. There are 93 rooms in the hotel, they’re all soundproofed so that you aren’t disturbed by the sound of the streets outside, and they come with all the modern conveniences necessary without losing its signature charm. This four star hotel is a self-acclaimed “designer” hotel situated in the middle of the city, and as such it’s well connected to all the prime attractions. If you look out of the rooms, you’ll be met with a stunning view of the Politeama Garibaldi Theatre, which is one of the defining structures of Palermo. They even have a 150 square meters large conference hall which makes this a great option for business travelers, and in addition to that they also have a bar/lounge, and an in-house cafe. You should also definitely check out their breakfast buffet spread which is full of cakes, croissants, salami, ham, tea, and other great breakfast items. 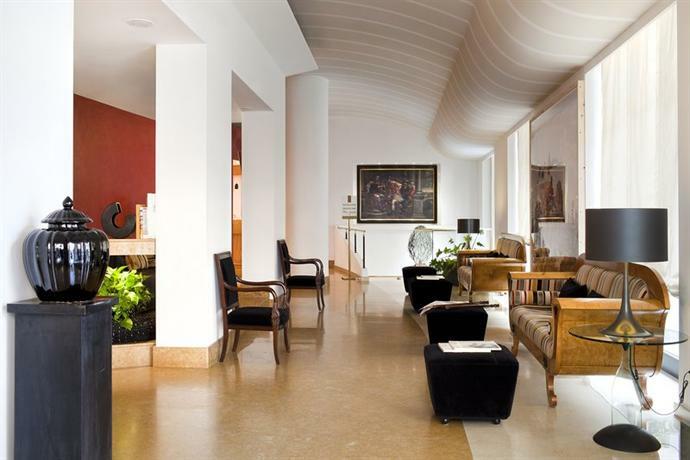 The Hotel Principe di Villafranca is a trendy ‘art’ hotel known for its incredible attention to details. They have a very understated kind of charm about them, with some great antiques and artworks lining the hallways and walls of the hotel. 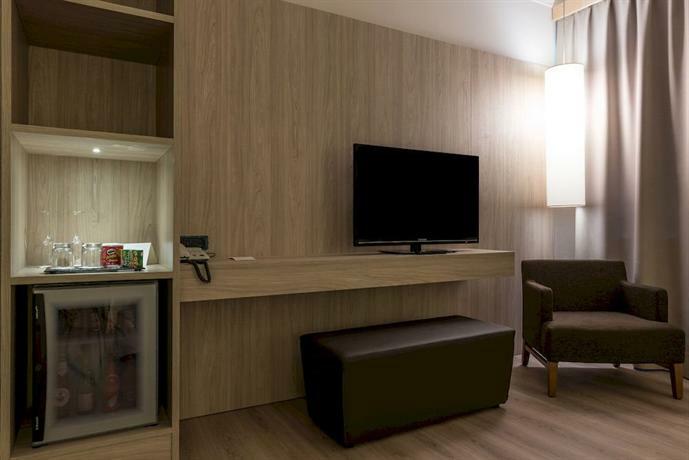 The rooms of the hotel are also endowed with contemporary works of art, while the rooms generally bear a minimalist aesthetic with shades of white and black predominating. The lobby of the hotel features light brown flooring and a vast library alongside lush green sofas. This offers you plenty of opportunity to strike up conversations with other guests as well. This is an eco-friendly four star luxury hotel established in 1921, and it is still being run by descendants of the founding family. It’s a very short stroll away from the Teatro Massimo auditorium, and about 13 minutes away from Palermo Cathedral by foot. The rooms in the hotel feature warm shades in general and they come with proper soundproofing and carpeting so as to ensure that your sleep remains undisturbed. 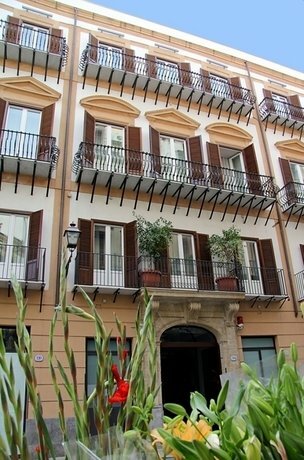 Depending on the room you get, you can also get a private balcony with a view of the Teatro. The breakfast is complimentary and you can have it served in the room. 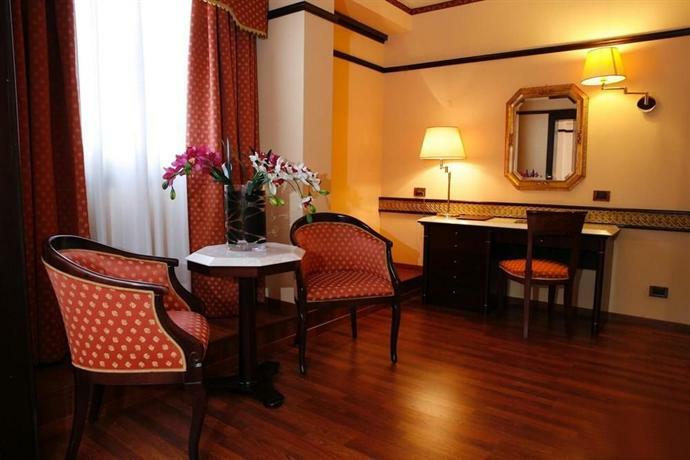 This trendy four star hotel is also located in the center of Palermo and as such is close to all the public transport, thus making it easier for you to get around the city. It’s also a short stroll away from the 19th century architectural wonder Teatro Massimo, and it’s about 2 km from Palermo Cathedral. Some of the additional amenities of the hotel include a restaurant, a meeting room, a bar, and a lounge. You can help yourself to a breakfast buffet as well with a lavish spread. Aesthetically speaking, the hotel is modernist with white and grey colors predominating, and some of the rooms even feature fluorescent lighting. 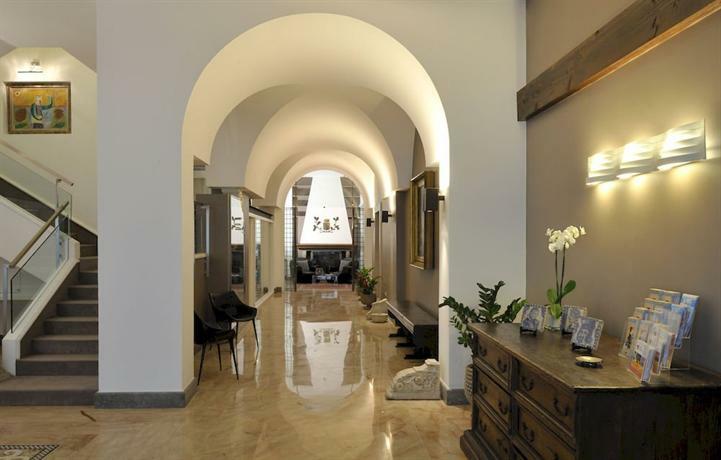 Unlike most hotels in Palermo, which are set up in commercial areas, amidst cafes and restaurants, this luxury hotel is set up in a residential area in the middle of Palermo. A short walk will bring you to the Teatro Massimo auditorium, however attractions like Palazzo dei Normanni might require transportation. The hotel has been designed in a classy manner, with a very subtle sense of grandiosity and elegance. If you get the suites, you can also have your own private terrace. The breakfast buffet is complimentary. This is a unique hotel amongst all the hotels in Palermo because it’s set up against the beach rather than in the center of the city. As such, if you’re in Palermo to simply relax by the pool or by the beach in a luxury four star hotel, then this is the one for you. The restaurant is perhaps the best thing about the hotel with its delicious Sicilian dishes, and a bright ambience located right next to the hotel garden. However, you should know that it’s 7 km from the center of the city and all the prime attractions that come with it.